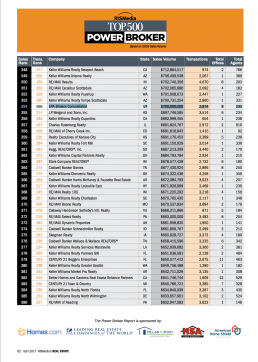 RIS Media, one of the most respected real estate industry news sources, recently released its Top 500 Power Broker standings for 2016. 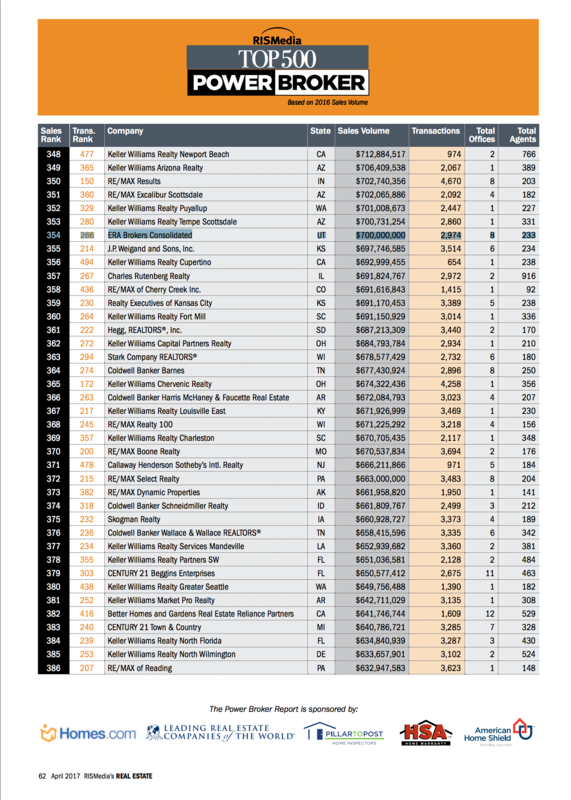 This report features the most successful real estate brokerages in the country by transaction units and sales volume. ERA Brokers was recognized as the #3 firm headquartered in Utah and came in #4 with Nevada headquartered firms. ERA Brokers doubled its affiliated agents and units from 2015 to 2016. Overall, in the report, ERA was recognized as #266 in transaction units and #354 for volume. “What a tremendous honor to be recognized. We are so appreciative to our agents and staff who work every day to take care of their clients. We focus every day on taking care of the people who have chosen to work with us” said Neil Walter, CEO of ERA Brokers Consolidated. With a 35 year history in the real estate brokerage business, the combination of longevity with a tech centered approach makes for a powerful combination. With plenty of room for growth in the Intermountain area, ERA Brokers continues to look for agents who want to affiliate with a forward thinking, growth oriented firm that offers exceptional agent support.